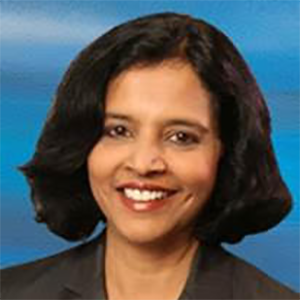 Jayanthi (Jay) Iyengar joined Xylem in 2015 and is responsible for leading the Company’s global R&D, technology and innovation activities as well as evaluating the technological landscape and accelerating the Company’s customer-driven innovation agenda. Prior to her current role, Ms. Iyengar served as Group Vice President, Engineering and Technology and Chief Technology Officer for the Eaton Corporations’ Aerospace Group. Previously, she held a series of increasingly responsible leadership roles over 15 years at Chrysler Group, including Global Director, Electrified Powertrain and Senior Manager and Chief Engineer, Hybrid Development Center.